Keep your furry feline friend close to you always. 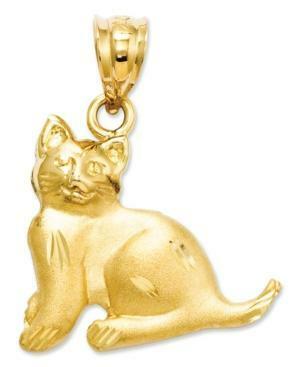 This cat charm is intricately etched in 14k gold. Chain not included. Approximate drop length: 9/10 inch. Approximate drop width: 7/10 inch.